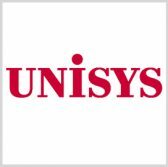 Unisys has received a potential six-year, $242.4M contract to provide storage, server and data center services to the Virginia Information Technologies Agency. VITA said Wednesday it selected the company after the agency and experts from the state’s executive branch units conducted in-depth studies and evaluations of proposals for the project. Virginia Chief Information Officer Nelson Moe said the contract award marks a step in VITA’s IT infrastructure modernization strategy. The agency has awarded multiple contracts that cover multisourcing service integrator, managed security, messaging and mainframe services as part of its “multisupplier” approach. VITA supports the state’s other government agencies in efforts to procure, manage and secure IT assets.